How would you like a perfectly well-behaved and happyShar-Pei? A Chinese Shar-Pei that really listens to what you want, respects you and is a joy to own? If so, I know you’ll find this letter to be extremely valuable because what I’m about to tell you will blast away many common misconceptions about this special breed and reveal the astonishing truth: namely, that there is a right way and a wrong way to getting the best from, and for, your Shar-Pei. Perfect family pet or dominant and aggressive danger? Hi, my name’s Abigail Croft. I’m not a professional dog trainer or anything fancy but I am mad about Chinese Shar-Peis and share my life with Bo, a beautiful fawn, brush-coat dog. If you’re anything like me, I’m guessing that what attracted you to Shar-Peis in the first place was a combination of two things: first that Shar-Peis are the most unusual and adorable looking dogs in the whole World, and second the commonly shared view that – with their compact size and moderate exercise needs – Shar-Peis make the perfect family pet. Okay, there’s no doubting that Shar-Peis are the most adorable dogs: all those wrinkles and that great big hippopotamus head!…Who can resist? But what few people will tell you is that these dogs have distinct behaviour patterns hard-wired into their brains that make them very different from any other dog. If you fail to understand what makes your Shar-Pei tick, you’ll be tearing your hair out with frustration. I first brought Bo home when he was only 7 weeks old. I’d always had dogs in the family as a child (although never a Shar-Pei) and I applied exactly the same training methods to Bo that I remembered my parents using with our family dogs. Imagine my shock and frustration when, far from becoming the delightful, happy and well-behaved pet I’d always longed for, Bo became stubborn, destructive and, increasingly, quite aggressive. Sound familiar? If you’re already a Chinese Shar-Pei owner, I’m prepared to bet my bottom dollar that by now you’re beginning to mutter “Tell me about it!” because what I know now, is that all of these behaviours are very common in Shar-Peis. If you’re not yet a Shar-Pei owner, you might find Bo’s list of escapades quite amusing but, I can tell you, I was at my wit’s end. Bo was making my life a misery and I felt I couldn’t trust him with anything. And the most upsetting thing was that he really didn’t seem to like me that much. I spoke to my vet and local veterinarian training hospital who gave me great advice on keeping a Shar-Pei healthy and how to prevent and cure common (and less common Shar-Pei illnesses and diseases. It was hard work because there still aren’t that many Shar-Peis around, but boy was it worth it – and what an eye-opener! I quickly found out from many other Shar-Pei owners that I wasn’t alone with my frustrations, which was a huge relief to me – and them. And what I discovered from the dog trainer was a real surprise. You see, it turns out Shar-Peis aren’t always the easy option so many of us are led to believe. What I hadn’t realised is that Chinese Shar-Peis have distinct behaviour patterns and that if these aren’t acknowledged, taken into account and dealt with in the right way, a Shar-Pei can quickly become a stubborn, destructive and hostile pet. I had been doing it all wrong – and I can’t tell you how guilty I felt. The good news is that through my research, I also discovered that there is a simple, effective and kind way of communicating with and training your Shar-Pei that taps into the way their minds work and has them desperate to please you. The results are phenomenal and I was amazed: after only 11 days of consistently applying the knowledge I had learned, Bo was already becoming a different dog. He was so much happier and calmer and really listened to what I asked of him. Two months later and he was the happy, well-behaved and fun dog I had always dreamed of. I was so happy. Unlike many other dog books, ‘Shar-Pei Savvy’ contains all the useful knowledge, advice and tips I learned from Shar-Pei experts and Shar-Pei lovers (like you and I), rather than just generic advice about dogs. It’s jam-packed with the most effective tips and techniques for looking after your Shar-Pei. Put simply, it contains everything you need to know about finding and living happily with your Chinese Shar-Pei - whether it be a puppy that needs training or an older dog with learned behaviors. ‘Shar-Pei Savvy’ is easy to read and understand with step-by-step instructions for looking after your Shar-Pei. So, just to make sure you’d feel 100% comfortable about choosing my Shar-Pei guide, I sat down and thought really hard about what I personally would expect by way of reassurance from someone selling to me – and believe you me, I’m quite a hard task-master! • Money-back guarantee: you’ve already read some of the many testimonials from Chinese Shar-Pei lovers like you who have followed the tips and techniques in my guide with amazing success: achieving happy, stress-free and rewarding relationships with their Shar-Peis. So here’s what I’d like you to do: I’m so confident that ‘Shar-Pei Savvy’ will make a massive and positive impact on your Shar-Pei that I want you to use the guide for yourself for 90 days with no risk whatsoever. That’s right! Try out the suggested training methods and solutions to behavioral problems with your Shar-Pei and if they don’t work, or for some reason they’re not suitable, get you money automatically refunded in full – no questions asked. • Free and unlimited email advice : Check this out... The price you pay includes unlimited, ongoing free support and advice by email. That’s right, you heard! I don’t just send you the guide and abandon you. Oh no. You can email me anytime with any query you have about your Shar-Pei’s health, training or behavior – as many times as you like - and I promise I’ll promptly get back to you. Let’s say you don’t quite understand something in the book, or the advice doesn’t seem to be working, simply drop me an email and I’ll do my very best to help you out. How’s that for service? And I tell you something, I don’t know of anyone else offering this level of customer satisfaction – anywhere! • Amazing value for money: While I was doing my research for this Shar-Pei guide, I was shocked at the prices some of my competitors are trying to charge for their books about Shar-Peis. Why not take a look yourself? I can tell you something, it’s not the kind of money I had available to spend. The way I see it, I want as many people as possible to learn the kind and fun way to living happily with their Shar-Peis. Shar-Peis are such special dogs and it breaks my heart to hear stories from people who have become so frustrated and desperate that they’ve had their Shar-Pei re-homed. I want all Shar-Pei owners to understand how the Shar-Pei’s mind works - that there is a right way and a wrong way to looking after these beautiful dogs – so that fewer Shar-Peis fall off the rails and so that all owners can experience the same pleasure and joy that I have experienced with my own dog. “Shar-Pei Savvy” is yours for just $27.75 – that’s less than the cost of a family trip to the movies! • 4 free gifts: In researching ‘Shar-Pei Savvy’ I read four ebooks that provide outstanding knowledge and information for dog owners. This collection of help and advice is perfect for learning how to care for your Shar-Pei. Most owners of Shar-Pei have problems with them at some time. This brilliant book will show you how solve them quickly and easily. Professional Dog Trainers and Behaviorists reveal their secrets on how to train the perfect Shar-Pei. Just follow this guide and you'll have the best behaved Shar-Pei in the Neighborhood. Whether you only have a few minutes or all day to play with your Shar-Pei, here you will find hundreds of ideas for you and your family to do with your dog. We have been very thorough in covering all aspects of owning a healthy and obedient Shar-Pei. However all Shar-Pei and their owners are unique. In order to help you personally I will give you my private email address so that I can support you further by answering any specific queries you may have about your own Shar-Pei. If you’re feeling a bit overwhelmed now and wondering if there’s a catch, I can promise you there isn’t any. 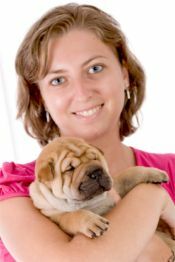 I am a genuine Shar Pei lover, with years of experience in looking after dogs, and my priority is to make sure that you get honest advice about how to successfully look after your Shar Pei. 1. Shar Pei Savvy - Your Ultimate Guide To Make Your Shar-Pei Happy, Healthy And Obedient! P.P.S. Remember, if for any reason you find that the tips and techniques in ‘Shar-Pei Savvy’ are not suitable for you, you are protected by my 100% ironclad, money-back guarantee for 90 days after your purchase. P.P.S. The price you pay for ‘Shar-Pei Savvy’ includes unlimited email support and 4 free gifts, together valued at $27.75. I challenge you to find anyone else, anywhere, who can equal this incredible offer.